VMware vSphere 6.5 Announced !! VMware vSphere 6.5 has been announced during VMworld Barcelona! This is an unusual year for VMware as usually the biggest announcements are kept for VMworld US, but this year is exactly the opposite. VMware vSphere 6.5 is the main piece of communication through VMworld Europe (VMware like calling this show VMworld EMEA). Check our dedicated vSphere 6.5 page. The VCSA 6.5 rocks. It not only brings the last piece which had lacked – VMware Update Manager (VUM) where previously you had to set up a separate Windows VM just to have VUM, but also have a native HA. 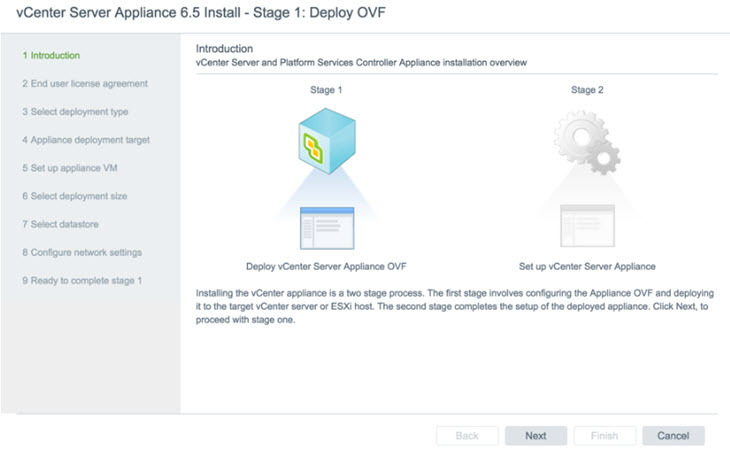 VUM is part of VCSA 6.5 – no more separate Windows VM is needed. Many clients have asked for it. I have reported in details on it as well. It was one of the last “show-stoppers” IMHO in order to go fully with VCSA. Improved Appliance Management – Still used through 5480, but with more insights into the CPU, memory or network of the appliance (without needing to dig through CLI). Also more insights into the built-in vPostgress DB (change login source, and see more of the UI of the appliance). 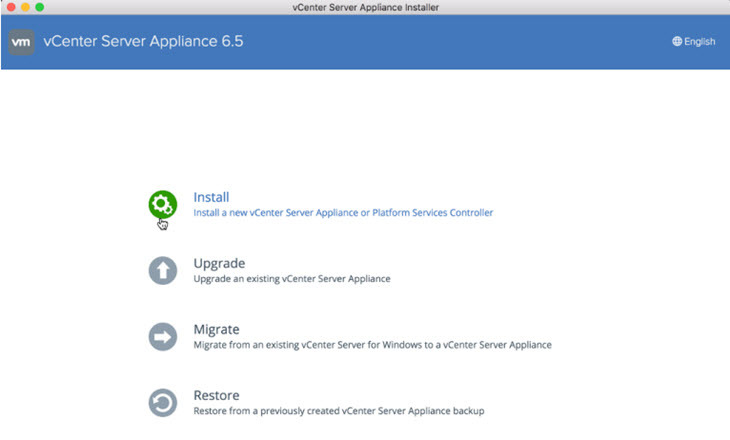 Built-IN Backup/Restore of VCSA 6.5 – You’ll be able to backup of the appliance from within the VAMI. Why this change? VMware says that you get improved validation and checks or a possibility to do manual snapshot between those two different stages of the deployment. We could see this kind of deployment when we tested VMware VRA 7 in our lab and where we also had that snapshot possibility. It’s definitely handy as it allows you to save the state of the config before heading to Stage 2. In case You may have problems in stage 2 you can simply start again just the stage 2 as you have the successful snapshot after Stage 1. There is also a possibility to create a template for additional deployments. You can imagine creating templates for the case if you have multiple remote sites, or remote isolated installation and you want to pre-install or pre-configure the solution, so the remote staff can just roll-out from a template. Migration – Now there is a Fling allowing to migrate from 5.5 to 6.0 into the 6.5. In VCSA 6.5 will be possible to migrate from 5.5 OR 6.0 with a possibility to retain the certificates, FQDN, UUID, IP address…. So in case you have some third party software which rely on vCenter, it won’t see any difference. The migrated vCenter server will have the same personality. Note that only migration to VCSA 6.5 (Linux) will be possible within the utility. Migrations for both embedded and external topologies are supported. And, as you can see on the image below, you have 3 options on which data you want to move over to the new VCSA 6.5. There is a lot of improvements within the VCSA, where now through the GUI you can get an easy overview on how the system is running. External Syslog configuration – You can use Loginsight or any other Syslog-based solution. vMon – Enhanced watchdog functionality. Service which watches all the services within VCSA. There will be one new service which will be watching all the other services in which state they’re. This service is also the service responsible for the active-passive HA. Alerts and actions for disk space – you’ll get an alert through the vSphere Web client when you’ll have 80% of disk space used and the appliance will gracefully shut down at 95% of disk space used in order to prevent any corruption. 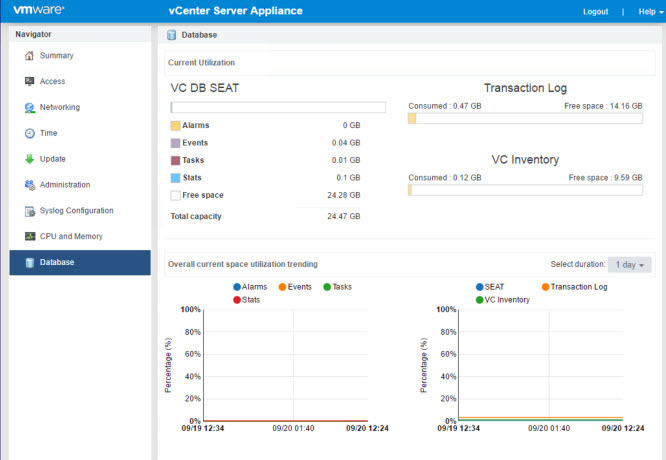 The VCSA’s New re-built UI…. 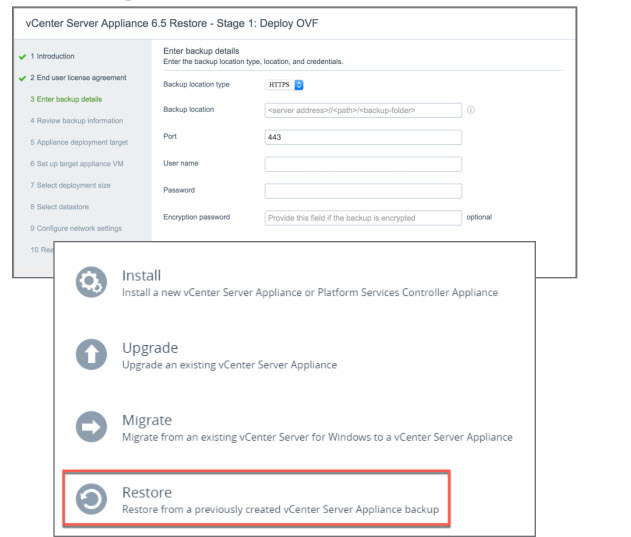 The backup/restore is for the first time native backup/restore within the VCSA. It supports embedded PSCs or external PSCs. What it will be able to do is that you will be able to restore your previous config into a completely new VCSA. I’ll be uncovering the Native vCenter Server High Availability (HA) in a separate post because it is an important chapter to cover. As you know, previously VMware was using a separate application called VMware vCenter Server Heartbeat. What else to say concerning the vSphere 6.5 announce? There is a lot. For example concerning improvements of HA. In addition to “Maintenance mode” (we all knew maintenance mode, right? ) , which allows you to evacuate all VMs. You’ll be also able to configure to put a host into a “Quarantine mode” where you’ll be able to continue running your VMs, but no new VMs will be able to be created. And there is also a “Mix mode” (a mix of both) where you’ll be able to choose, depending on the severity of the hardware failure (can be for example a fan, which has redundancy cause there are still other fans running) if you want your VMs to be moved from the host or keep them running on that particular host. Check details within the “HA and DRS Improvements” post. VMware VSAN 6.5 – What’s New? 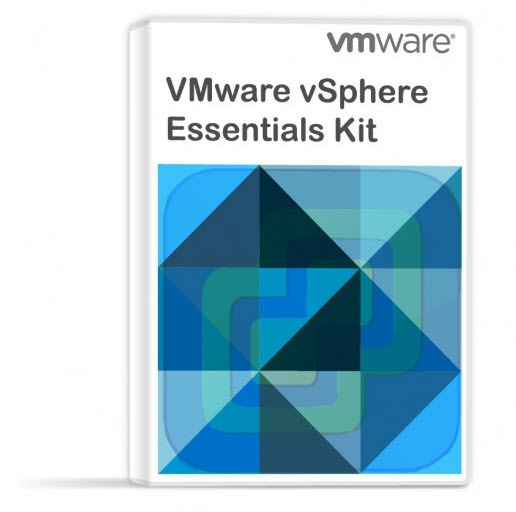 Check our VMware vSphere 6.5 Page for ALL details about vSphere 6.5. I just want to know that does 6.5 vcenter supports 5.5 version of esx servers.